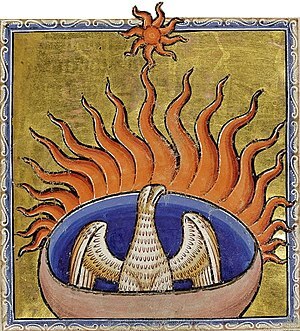 According to mythology, a phoenix is a mythical bird with a colourful plumage and a tail of gold and scarlet. It has a life-cycle of 500 to 100 years. Near the end of its life, the Phoenix builds a nest of twigs that then ignites; both nest and bird burn fiercely and are reduced to ashes. Out of the ashes rises a new, young Phoenix, reborn and ready to live again. Like my name-sake, one part of my life has drawn to a close. I have built my nest and set the twigs alight. I am working on the process of rebirth and rejuvenation. Forces beyond my control have shown me that writing is a necessary part of my reincarnation, so I have created this blog as an indulgence to the ‘new’ me. Here you will find some of my short stories. I will endeavour to post one or two a week. If you miss the post, they will also be found on the Short Stories page. While I am getting to know myself a little better, I should warn you that there will possibly be some ‘personal growth’ or introspective posts found here as well. My natural tendency is to write everything out and then come back and read it later so that I can identify areas of my life that need improvement. I thank you for being patient when these posts show up. I am also hoping to find and share some great writing tips and resources. I am sure there are other newbie writers out there who feel the need for help as much as I do. Please feel free to comment on anything. Feedback is a wonderful thing and as a writer, feedback from readers is worth more than gold. Thank you for visiting, and I hope you will return soon!